Welcome to Waters Edge 111 in Lincoln City! This first floor condo offers an incredible view of the Siletz Bay from the private personal deck right out back! You'll be within close walking distance to not only the Pacific Ocean, but also to a wide variety of restaurants and shops, including Highway 101 Burger, Mo's Restaurant, and several glass blowing studios located right in the Taft District! Step inside and explore your quaint and cozy home away from home! This one bedroom condo is perfect for up to four guests, with one bedroom and one bath. The kitchen is fully stocked with everything you'll need to cook or enjoy a meal in, and the living room has a fireplace to help keep you warm on those chilly Oregon coast nights! The bathroom offers a shower and tub combo, and the bedroom is located right off of the bathroom, complete with a queen size bed. You'll also find a washer and dryer in the unit for your use. Come down to Lincoln City today and stay at Waters Edge 111 with Oregon Beach Vacations! It's better by the water! "Hello Richard, Thank you for your review. We are so happy to hear that you had an amazing stay at Waters Edge 111! We certainly hope you'll be back again soon! Thank you again for your review!" Gorgeous views and a lovely unit. "We could not have enjoyed it more. The unit was nicely furnished, comfy bed, great bay views." " Wonderful furniture, decorations. Washer dryer, plenty amenities. Owners of this property obviously wanted to tenets to be very comfortable and happy. Thank you "
"Great stay. Located in Lincoln City so was very close to most of the Oregon Coast attractions. Apartment was clean and right on the waters edge. 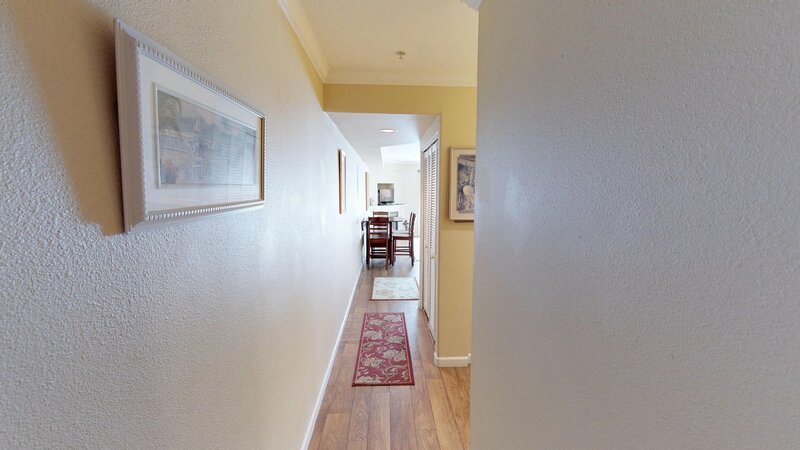 Nice to have all the amenities of home available during an extended visit." "Hello James, Thank you for your review. We are glad to hear that you enjoyed your stay at Waters Edge 111. Waters Edge is a great place to stay if you're looking to be close to stores/restaurants as well as the bay and the beach! We are glad to know that this location was perfect for all of your needs while on vacation. We hope to have you stay with us again in the future." "The owners of this condo have put thought into the furniture and the layout of the condo. Nice environment for a crafting get away, small family weekend or a romantic get away. Excellent basic kitchen, washer/drawer combo and easy access to outdoor activities and some of the iconic stores of South Lincoln city. Comfortable bed, nice towels and comfortable living room furniture with easy electronic use. Lovely protected deck to watch sunset from or enjoy the sounds of land birds: too far from ocean beach for surf sounds. Beach in front of property is Siletz Bay beach, has crabbing and soft shell clamming right there; think shovels, pail and salty cornmeal water for clams, pail and small tripod crab traps." "Hello Julia, Thank you for your review. We are glad to hear that you had a fantastic stay at Waters Edge 108! We are glad that the location was good for everything you wanted to do while staying in Lincoln City and that you found the unit to be accommodating and comfortable. We hope to have you stay with us again soon on the Oregon coast. Thank you again for your review." "We stayed Nov 3rd-17th, 2017. Condo was nice, roomy & clean. Nicely decorated too.Only complaint is the Queen Memory foam Mattress was too firm, the sleeper sofa was horrible and the sofa portion sunk in because of the bed. I couldn't sleep on either.Room sleeps 4 but only has 1, 3 seat sofa & tall hard dinette chairs.The enclosed patio was nice but no way to access the beach.The fire alarms kept going off when making toast.The oven door window (inside) was cracked, so we didn't get to use it.The listing said room is handicap accessible, it IS roomy for a wheelchair but the bed and sofa are not ideal for a disabled person.We didn't hear anyone in the surrounding condos unless they were on the patio.And the location was awesome for Clamming & Crabbing! !All in all a great trip in the condo.We got our reservation during the process of it selling to a new owner. No hiccups at all AND we got our deposit back before the last day of our vacation." "Hello Christy, Thank you for your review. We are happy to hear that you enjoyed your stay at Waters Edge 111. As for some of the concerns you mention, mattress preference varies from guest to guest. We do see that the owner has ordered new furniture for the unit, but are unsure of what exactly is being replaced. Thank you for bringing these issues to our attention though. We are having someone check on the oven door to make sure it is usable for future guests, and if not, are having it repaired or replaced. We are glad to hear that your reservation process went smoothly, and we hope to see you again soon on the Oregon coast. Thank you again for your review." "Great location that allowed us to view and enjoy the Siletz bay. Room was well kept, nice living space (living room/dining/kitchen) with a gas fireplace. Everything to make it a home away from home."